Emerging markets have received a particular attention of academic researchers and practitioners since they decided to open their domestic capital markets to foreign participants about three decades ago. At the same time, we remark that theoretical and empirical research in emerging stock markets has been particularly challenged by their fast changes in nature and size under the effects of financial liberalization and reforms. This evolving feature has particularly led to a commensurate increase in sophistication of modeling techniques used for understanding financial markets. 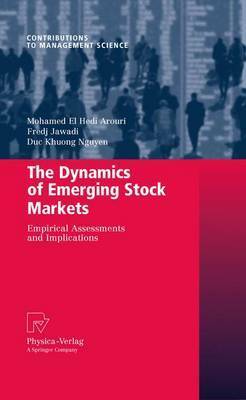 In this spirit, the book aims at providing the audience a comprehensive understanding of emerging stock markets in various aspects using modern financial econometric methods. It addresses the empirical techniques needed by economic agents to analyze the dynamics of these markets and illustrates how they can be applied to the actual data. On the other hand, it presents and discusses new research findings and their implications. 46 Tables, black and white; 30 Illustrations, black and white; XV, 205 p. 30 illus.